You might not think about it, but our modern food production system is based on turning fossil fuels into food. A largely inefficient system, with about 10 units of fossil energy converting to about 1 unit of food energy, it’s unsustainable as the global population continues to rise. Though our turkey dinner gets us sleepy, food is energy for our bodies. It’s the same energy that heats our homes, runs our cars, charges our phones. This Holiday season, we’re looking in to the energy we’re consuming in partnership with Inside Energy. Check out the video to learn more about how we’re Feasting on Fuel. On the worst day of Greta Horner’s life, she was dressed in a burlap robe, waiting by the window for her husband to come home from work. A guy who covers agriculture in the West who’s never put a skinned, sliced, battered, deep-fried bull testicle into a cup of cocktail sauce and then into his mouth? I couldn’t let it stand. They’re known by many names: lamb fries, bull fries, Montana tenders, huevos de toro, cowboy caviar. 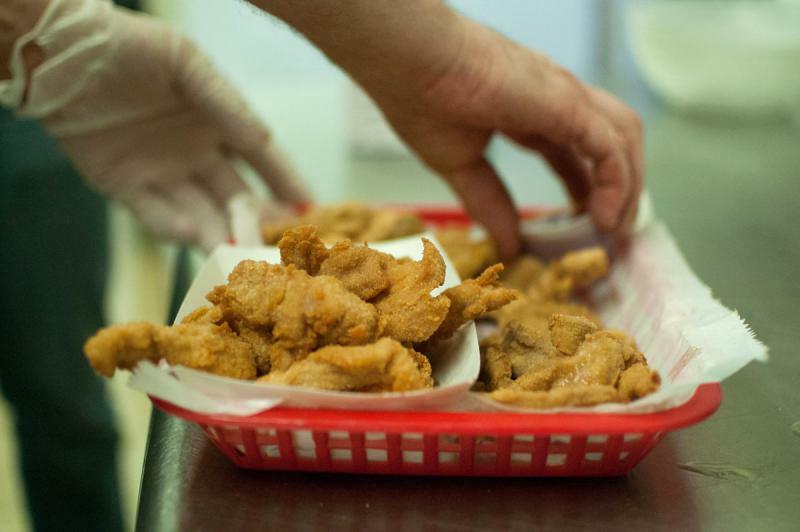 In my corner of Colorado, they’re Rocky Mountain oysters and I somehow coaxed myself into thinking I needed to try them to be more a part of the place I live, to be a true blue Coloradan.